The move come less than a fortnight after the 101-year-old paper had debuted a colorful new redesign aimed at bolstering sagging circulation—and advertising. Union cries foul. 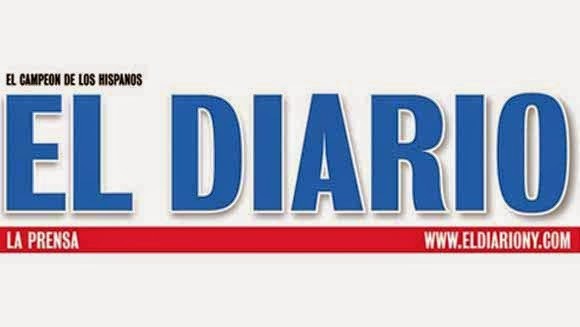 Less than two weeks after it debuted a colorful redesign aimed at boosting circulation and attracting more advertising, El Diario La Prensa has laid off 20 employees, eight of them Newspaper Guild members. The move has sparked charges that the newspaper has violated its contract with the union. According to a New York Newspaper Guild representative, El Diario is required to give union employees and the Guild itself two weeks notice before involuntary layoffs can begin. The layoffs, which were made Friday afternoon, came without any prior notification, the representative said. "I'm the chairperson up there and I had no notice at all," said Oscar Hernandez, an account executive in the advertising department who heads the Guild unit at the 101-year-old paper. He added that employees were told by executives from ImpreMedia, the paper's owner, that they needed to be terminated because of cash flow problems. An El Diario spokeswoman declined to comment. But earlier Monday the paper, which is the largest Spanish language daily in New York and the oldest in the country, told Capital New York that the official date for the layoffs was June 27—two weeks from last Friday—meaning it had acted in compliance with the contract. Mr. Hernandez said the Guild still needed to be told, and that the two week notification was just one of the rules with which the paper needed to be in compliance. "There's a whole laundry list of things they have to do before they can do an involuntary layoff like this," he said, including seeing if there were any volunteers. "We believe this is retaliation against the people who are involved with union activity." In May, the Guild worked out a settlement with ImpreMedia after filing an unfair labor practice charge with the National Labor Relations Board over anti-union remarks by Content Director Juan Varela. El Diario was required to post an official notice saying it would honor the Guild contract. The layoffs also come amidst charges by veterans that management is weakening the paper's relationship with its readership by looking to expand beyond its traditional Puerto Rican and Dominican audience and target more upscale readers. The new strategy, which informed the redesign, is the brainchild of executives installed after Argentine newspaper La Nacion bought a majority stake in ImpreMedia in 2012. "Back in November, the company said they wanted to get a different audience, that we were a 'ghetto newspaper," Mr. Hernandez said. "They were looking for a more educated reader, even though [our current readers] have been the bread and butter of El Diario for 101 years." Fewer of those readers are buying the paper, however. Although online readership has doubled in the past year to more than 1 million unique visitors, the print edition—which generates 90% of revenue—has suffered. In an interview earlier this month, Hernando Ruiz-Jimenez, executive vice president at impreMedia and general manager of El Diario, said that he could not say whether the paper was profitable because of how costs were allocated across the parent company. But the paper's average weekday circulation fell 13% to 31,000 copies in the six months ending in March, compared to the prior-year period, according to the Alliance for Audited Media.